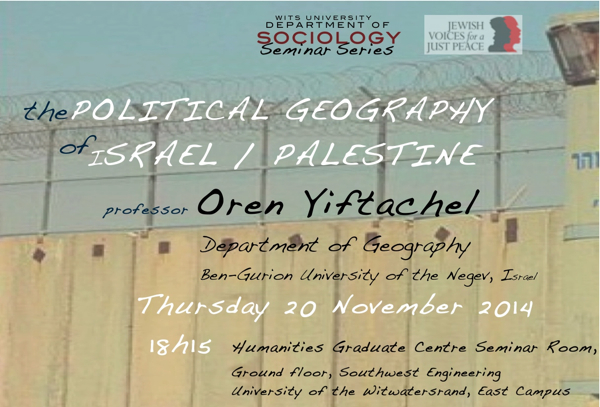 A talk by Professor Oren Yiftachel on Thursday 20 November 2014. Professor Yiftachel has published over 100 articles and ten authored and co-edited books, including Planning as Control: Policy and Resistance in Divided Societies (1995), Ethnocracy: Land and Identity Politics in Israel/Palestine (2006), and Indigenous (in)Justice (co-editor, 2012). He is currently working on a manuscript on Gray Spacing: the Transformation of Urban Politics.